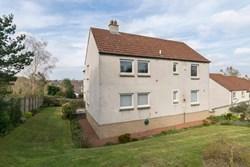 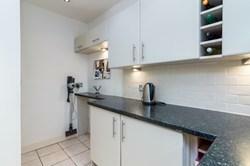 Beautifully-presented, two bedroom, ground floor, main door flat, with a private front garden and rear deck. 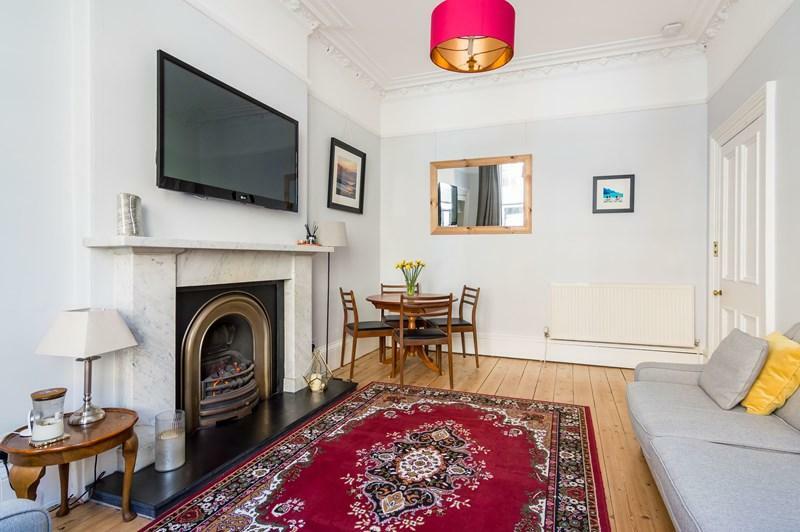 Set in a traditional stone-built tenement, located in close to the Meadows in sought-after Marchmont, south of Edinburgh city centre. 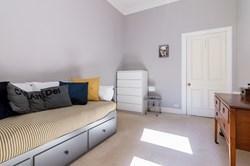 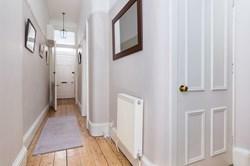 Comprises: an entrance vestibule, hall, living/dining room, kitchen, two double bedrooms and a bathroom. 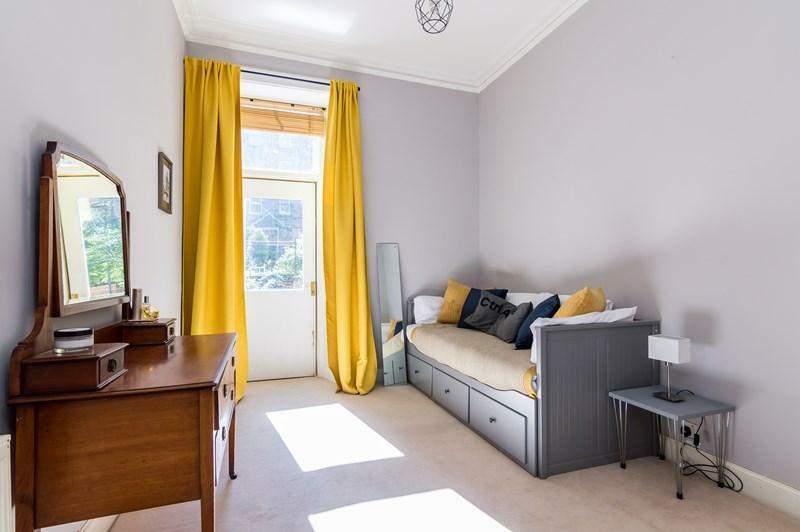 Features include sash and casement windows, high ceilings, original plasterwork and panelled doors, 'Nest' smart control gas central heating, and a fitted kitchen with appliances. 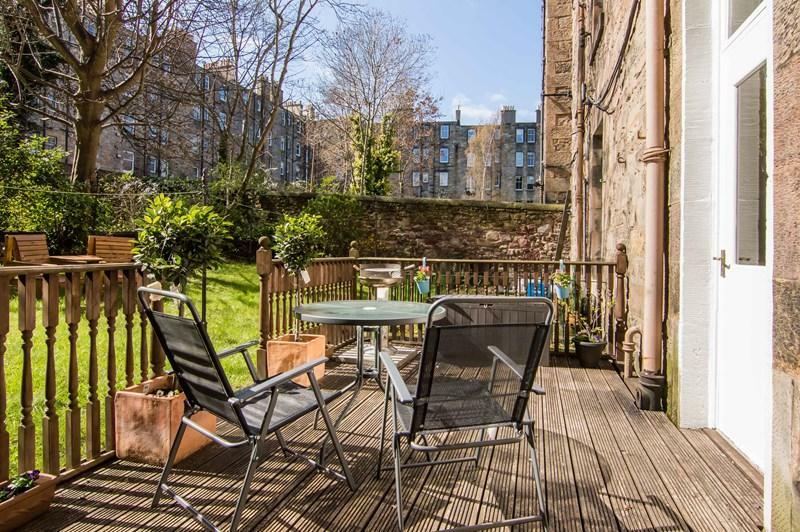 Externally, there is a private south-facing deck set within a well-kept communal garden to the rear, with a small garden to the front. There is permit on-street parking in the surrounding areas. Beautifully-presented, two bedroom, ground floor, main door flat, with a private front garden and rear deck. 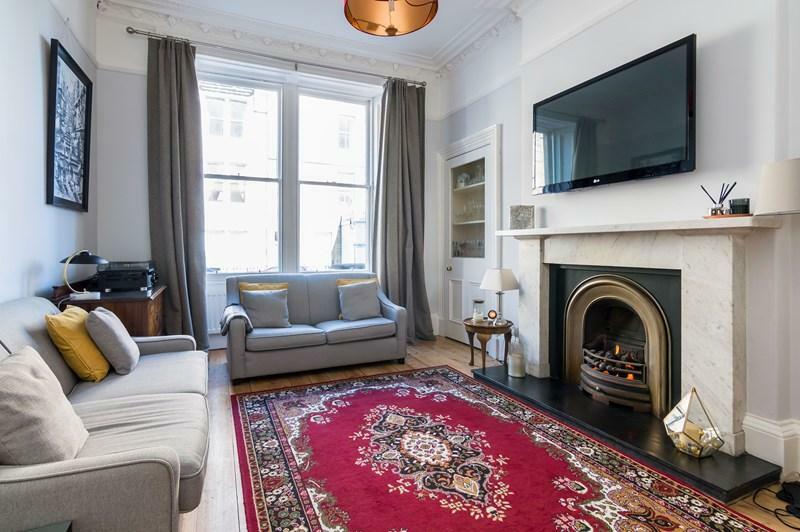 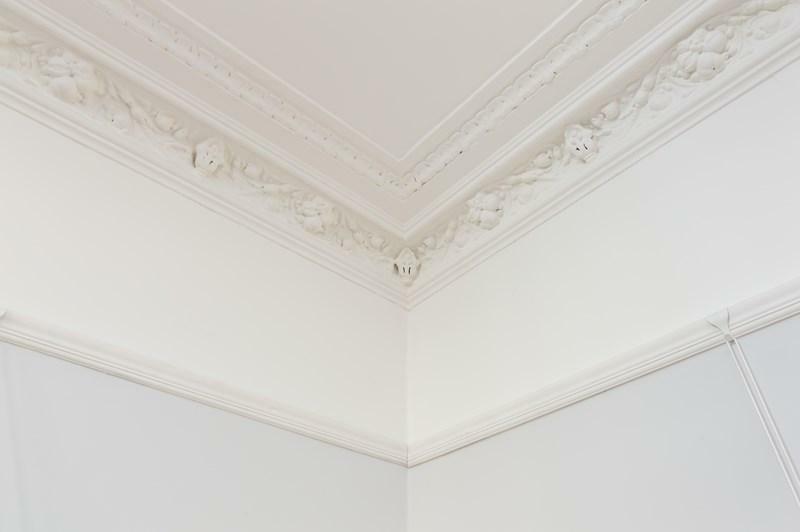 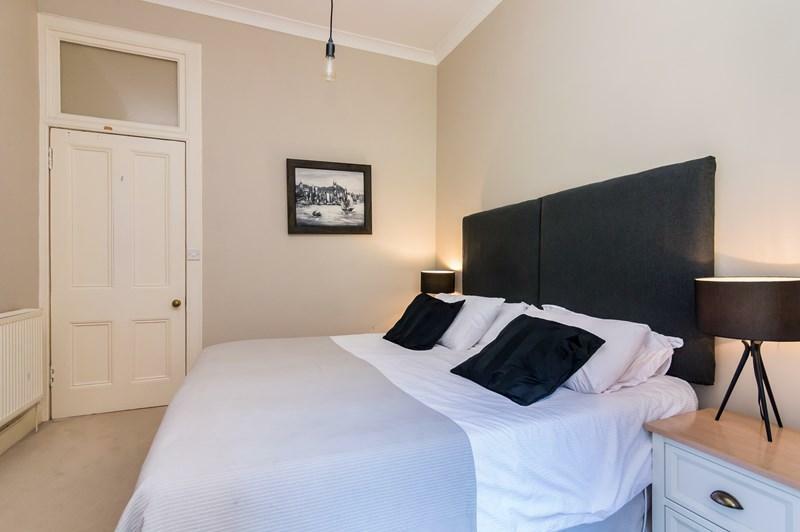 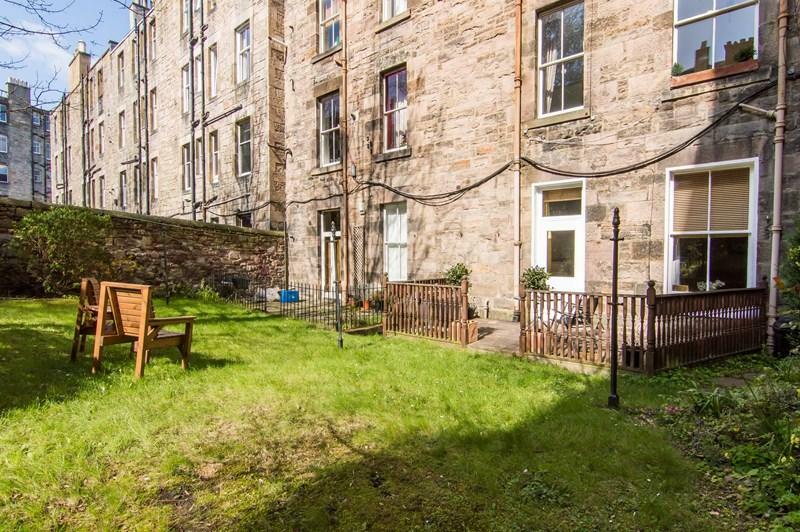 Set in a traditional stone-built tenement, the property is located close to the Meadows in sought-after Marchmont, south of Edinburgh city centre. 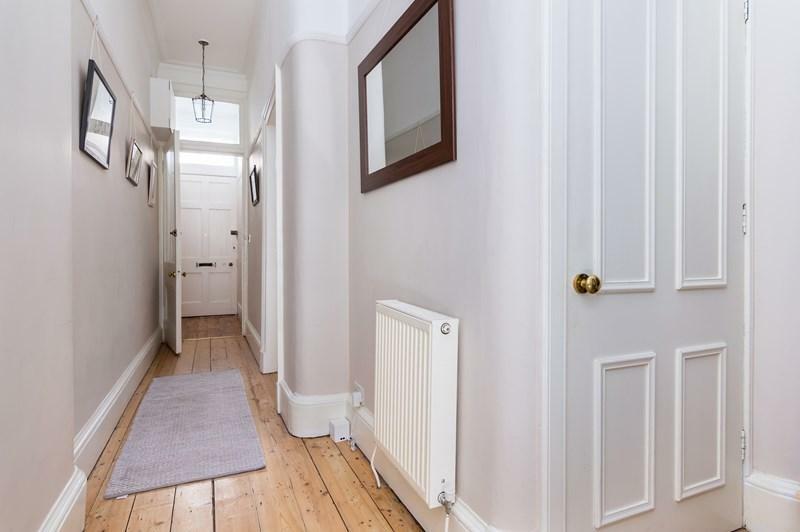 Access is gained via the private doorway into the entrance vestibule, then the hall which serves each room within the flat. 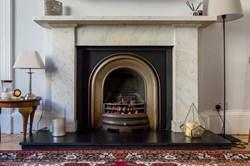 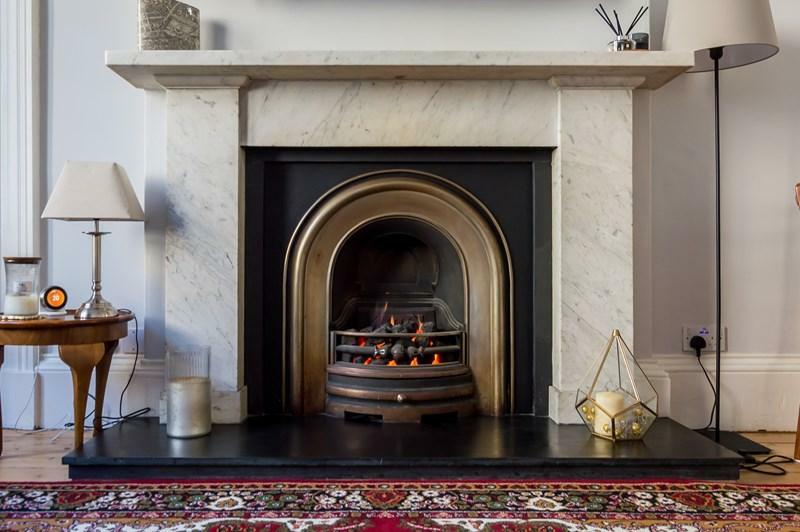 The bright and well-proportioned living room is set to the front, featuring ornate plasterwork, a living flame gas fire set within a decorative marble fireplace, press storage and a recessed window with working shutters which provides plenty of natural light. 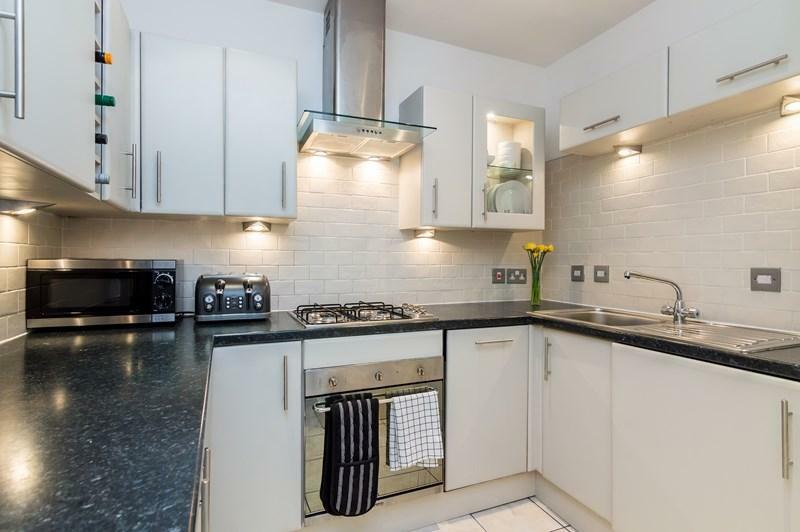 The kitchen is fitted with modern units, laminate worktops, a stainless steel sink and tiled splashbacks, with an integrated gas hob, electric oven, extractor hood, fridge, freezer, slimline dishwasher and washer/dryer. Bedroom one is set to the rear, with carpeted flooring and a press, whilst bedroom two is similarly sized and immaculately finished, with a door opening onto the deck. 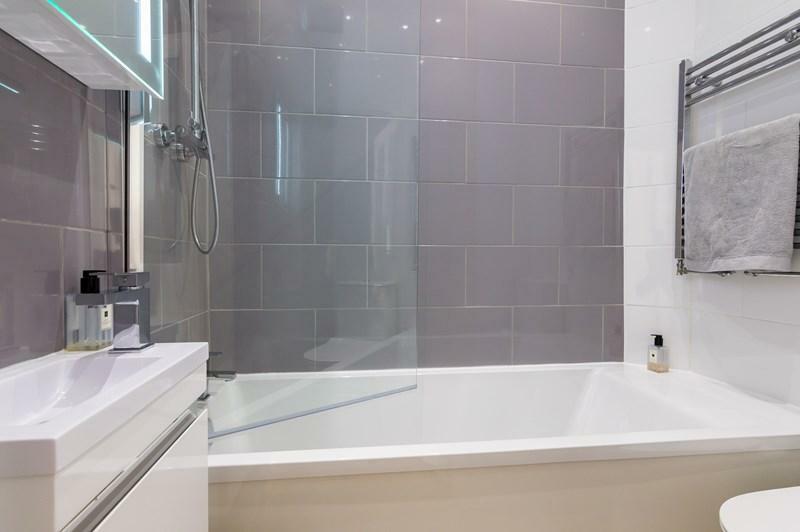 The stylish bathroom features a modern three-piece suite, a mains mixer over-bath shower and underfloor heating. 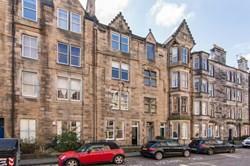 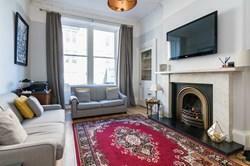 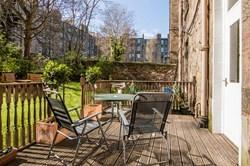 Marchmont is well-placed for access to the universities, hospitals, and local amenities in the vicinity. 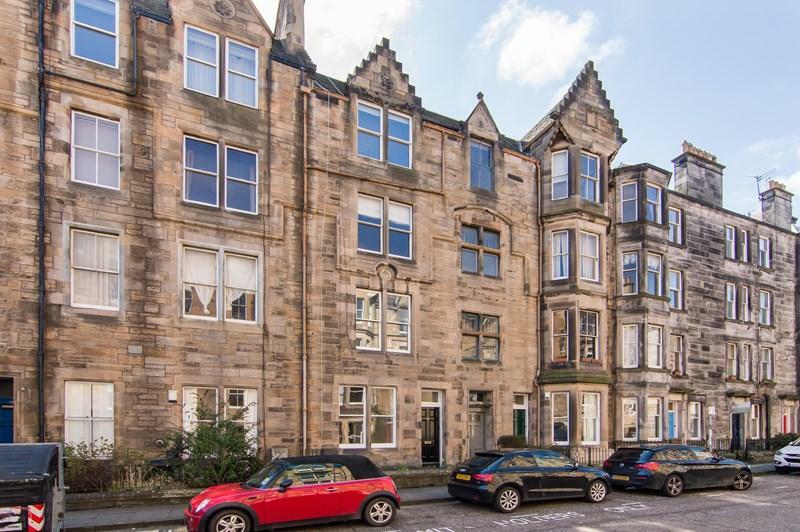 Neighbouring Newington, Morningside and Bruntsfield offer a wide variety of specialist shops, cafes, restaurants, cinemas and theatres. 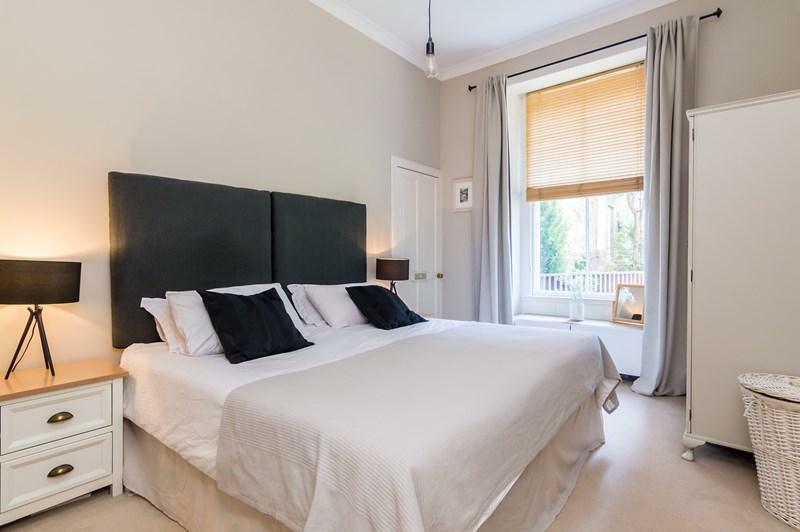 The open green parklands of Bruntsfield Links and The Meadows are situated within close proximity, and include public tennis courts, playgrounds, and a pitch and putt course, whilst Holyrood Park, Arthur's Seat and the Salisbury Crags are located a little further to the east. Schooling in the area is provided by well-regarded Sciennes Primary and James Gillespie's primary and high schools. 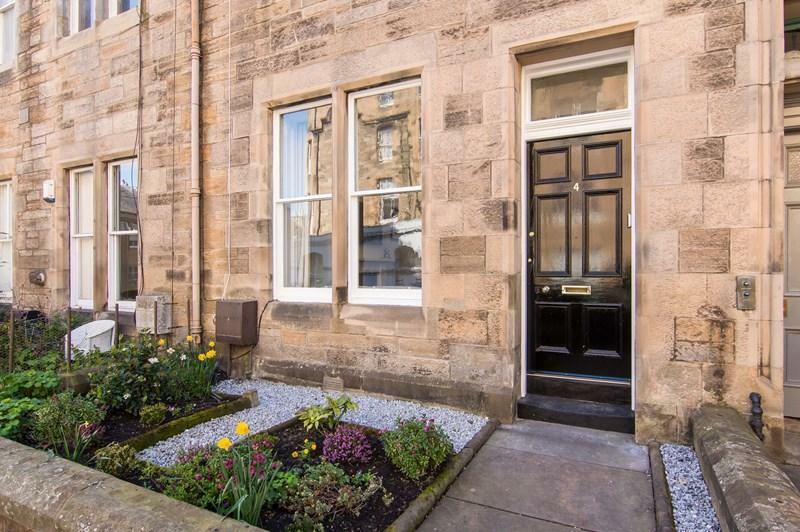 With the city centre easily accessible on foot, the area has frequent bus services available from Marchmont Road and Melville Drive.